Plastic bag in hand, Bruce Palmar of Lansing Township walks about a mile a day from Michigan Avenue to Saginaw Highway to pick up cans and various items he finds along the way. “From Michigan Avenue to Saginaw Highway I walk and I clean all that stuff out and people quit throwing that stuff in there,” Bruce Palmar said. Trina Palmar who is Bruce Palmar’s wife said once they began to play an active role in their neighborhood, others joined in. “We started it and everyone in the neighborhood kind of got the idea and they started doing it a little bit more,” Trina Palmar said. 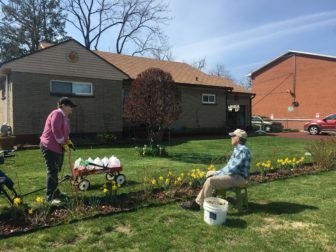 Bruce and Trina Palmar have lived in the township since 2007 and became active members in improving their community and would like to see it flourish. That may soon be happening with some long-abandoned General Motors auto plant sites in the township. 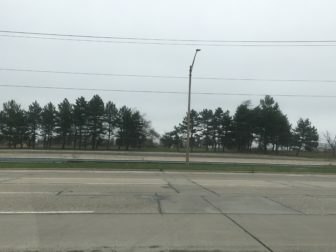 The former GM plants are located on West Saginaw Highway. According to Lansing Township Supervisor Diontrae Hayes the township will see re-development of the two former GM plants 2 and 3 located on Saginaw Highway. 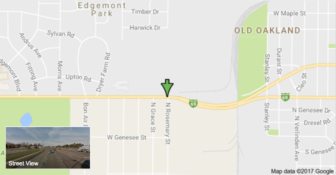 The vacant parcels are currently under contract with industrial property redevelopments owned by former GM Corporations called Revitalizing Auto Communities Environmental Response according to RACER Trust’s website. RACER Trust was created to clean up and position facilities formerly owned by GM Corporations before it’s 2009 bankruptcy. According to Bill Callen, who handles media inquiries for RACER Trust, NorthPoint Development has made an offer on both Lansing Plants 2 and 3. On that site, NorthPoint plans to build manufacturing, warehouse and distribution facilities primarily for companies in the automotive sector, according to a press release. The deal has not yet closed. Located at 2800 and 2801 W. Saginaw St., Plants 2 and 3 are currently under contract. There are four Lansing Plants up for purchase from RACER Trust by NorthPoint but only Lansing Plants 2 and 3 are located in Lansing Township according to a RACER press release. The plan was something the Palmars viewed as positive for the township.